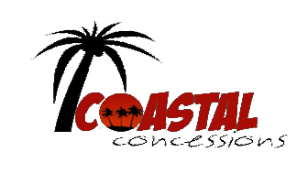 Description: Coastal Concessions has been operating out of Mississippi and meeting our customers’ needs for over 25 years. We make concession Trailers and Mobile Kitchens for every type of venue and business, ranging from small 4 x 8 to 38′ units. Working completely with our customers in the design process, we make sure not to only get the model that’s right for you but an interior fully customized to fit your specific needs. We even make trailers with smoker and grill barrel attachments on the end, though we don’t do much (or potentially any) work with outer decals and design. Please come down and give us a call to see our inventory directly, or check out our detailed price listings page on the site to get an idea on costs.